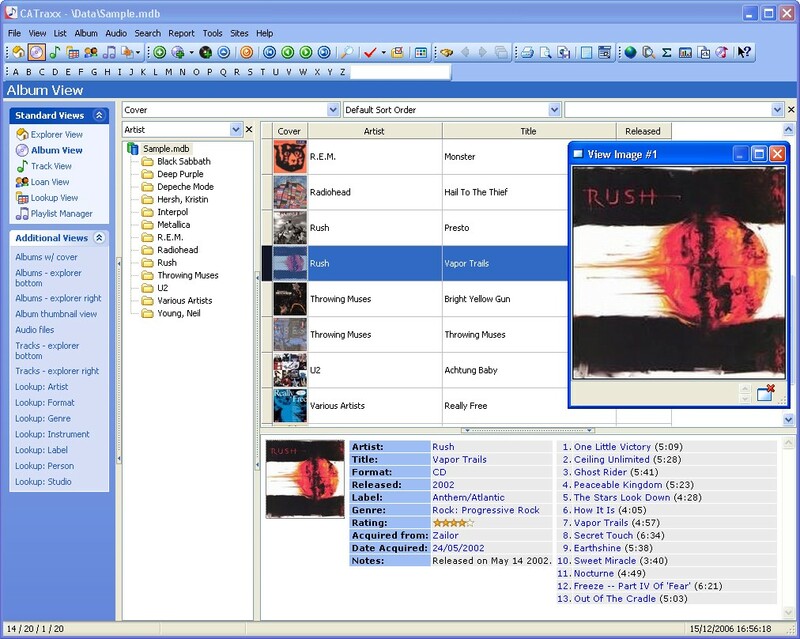 CATraxx is a powerful database program designed to help you maintain an inventory of your music collection. You can quickly catalog your collection by downloading CD data from CDDB - the worlds largest music database. TRichViewEdit is used for editing memo fields (for example, notes and reviews in albums descriptions).